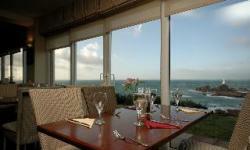 Welcome to The Corbiere Phare Apartments in Saint Brelade, Channel Islands, United Kingdom. 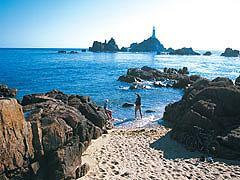 Across from Corbiere Lighthouse, Corbiere Phare Apartments offer spectacular sea views and often, magnificent sunsets. A million miles from the stresses and strains of modern day living, the Apartments are furnished in a contemporary style and are finished to a high standard. Only 20 minutes drive from the cosmopolitan capital of St. Helier with it's excellent shopping, all Jersey's attractions are within easy reach. 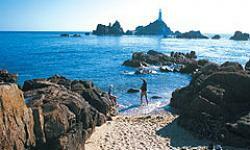 A short drive will bring you to the beaches at St Ouen, Portelet and St. Brelade. For Golfers, there is a choice of excellent Golf Courses within the area. For water sports enthusiasts, there is a choice of activities on your doorstep. Getting around Jersey is easy, hiring a car is cheaper than you would expect, and offers you the freedom to explore at your own pace, we drive on the left, and although the majority of road names are French, the Parishes are easily signed and you will have your bearings in no time, just remember to bring your original driving license if you do decide to hire a car. For keen walkers, the island has routes to suit all levels of fitness, and afterwards why not treat yourself with a visit to one of the islands many beauty spas. Recently refurbished to a very high standard, each apartment is situated on the first floor and comprises kitchen and living area. The kitchen has all the utensils you will need during your stay, including cooking utensils, crockery, kettle, toaster, oven and fridge. All the Apartments have their own bathroom, complete with bath and / or shower. 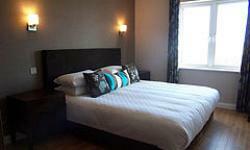 The Apartments are one bedroom, with a large double zip bed which can be utilised as a double or twin beds. There is also an additional sofa bed in the lounge. For your relaxation and enjoyment, each apartment has a balcony with patio furniture where you can enjoy a quiet sunbathe or a glass of wine while taking in the uninterrupted sea views. The Apartments can accommodate a maximum of 4 adults or 2 adults and 2 children. 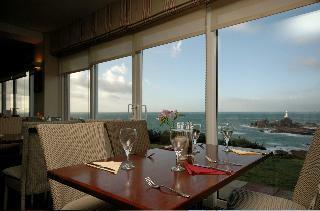 We look forward to welcoming you to The Corbiere Phare Apartments in Saint Brelade, Channel Islands, United Kingdom.